Even in today’s social media focused world, email marketing is still one of the best ways to reach customers. Today we are going to walk you through how to curate content to build a massive email list. Content curation is the process of sorting through the vast amounts of content on the web and then presenting it in a meaningful and organized way around a particular theme. If you are a frequent reader of our blog then you know I love the concept of smart automation. If you are a small business with a marketing team of one, you will especially appreciate how you can grow an email list by reusing the same content you are already curating and sharing on social media. If you are new to content curation, then you may be asking yourself that very question. Why would I send a perfectly good customer away from my site? While there are excellent reason to curate content, what is most surprising is how most brands ignore these benefits and only focus on how curation can take readers away from their own website. It’s no secret that consumers rely on recommendations from their peers, but they also crave information from other reliable sources. My providing your customers with this information you can then improve your brand’s credibility. When you curate content, you present the opportunity to back up your claims with outside research that supports them. In addition, over time this will build a stronger relationship with your readers as they learn to trust the knowledge you have to share. When you curate content you show your audience that you care about the problems they’re facing. As a result, you’re taking the time to share information with them that doesn’t just toot your own horn. Furthermore, consumers feel loyal to brands that have their best interest at heart. A real example: On May 12, we shared an article posted by Ragan.com titled, The right way to respond to negative online reviews. The article was spot on for our audience of small business owners who may face the same Yelp review issue. As a result, engagement on the tweet and click through to the article was 2x times greater than the typical engagement rate on our own posts! You don’t have to be all business all the time. It’s okay for a brand to share content solely for the purpose of entertaining its community as long as you truly understand your audience. You’ll be able to delight them with content that still makes sense for your brand. As you curate content from other brands and bloggers, it won’t take long for them to notice. As a result, often times they’ll repay the favor by thanking you in front of their audience or sharing your content as well. However, it’s important to keep your content recommendations genuine. Don’t let ego stroking be your sole motivation. Consequently you’ll quickly lose the benefits of content curation. Content curation has been around for a long time however many brands have failed to see the benefits it does deliver. Small businesses are feeling the pressure. 92% of consumers trust recommendations more than your originally created content. 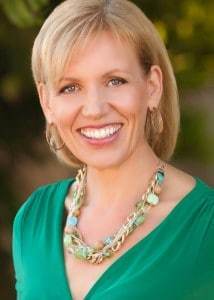 If you are a content curation doubter, let me introduce you to Mari Smith. Mari is a leading social media thought-leader who has a wealth of expertise in Facebook marketing. She is a Forbes’ Top Social Media Power Influencer (currently #4 of 100) and the author of a few Facebook marketing books. Mari is the perfect example of how to build thought leadership around curated content. Most noteworthy is the massive following she built using content curation. Mari aggregates interesting and/or popular content around the subject of social media marketing. She finds the best of the best and then pulls it together in her weekly newsletter. Each week, she sort through the huge pile of new social media blog posts, resources, articles, tools, tips and more … and hand pick just three of them to send via email. When she finds an article she likes, she uses a bookmarklet to add it to her queue. Additionally, along with links she shares in her newsletter, she offers a brief comment or summary about the pieces. Curated newsletters are a chance for you to offer readers a vast variety of material you’ve hand selected for them. And with so much content published online, a curated newsletter has serious business value. Creating and setting up a curated newsletter is simple often times taking less then 15 minutes. 1. Audience Value – Most importantly, consider the needs of your audience. Because you have a target market you focus on, they will be most interested in specific types of content. The value of a curated newsletter for subscribers is the convenience of having all the best content about a particular subject selected and sent directly to them, so you need to make sure the topic you choose aligns with the types of content your target market is interested in. 2. Business Alignment – First of all, the goal of starting a curated newsletter is to keep your business top of mind while building thought leadership around your brand. Therefore, you won’t achieve these objectives if the content you curate isn’t aligned with the products and services your business provides. Once you’ve established your topic, you need to find great content to share. Read: Energize Fans and Followers on Social Media in Five Minutes (or less) a Day. Here we walk you through how to find great content using dlvr.it and then sharing it via social media. ***This is an important step as we are going to re-use this same content to create our curated newsletter. dlvr.it draws from more than 100,000 content sources, including blogs, professional journals, news services, magazines, video feeds, and podcasts and can quickly display the relevant content from your sources. Once content is pulled from the source, the curated items are displayed and most of all are easy to scan and review before and after publishing. Want to take curation to the next level? Install our quick capture browser add-on so you can quickly add content you discover to your newsletter queue. 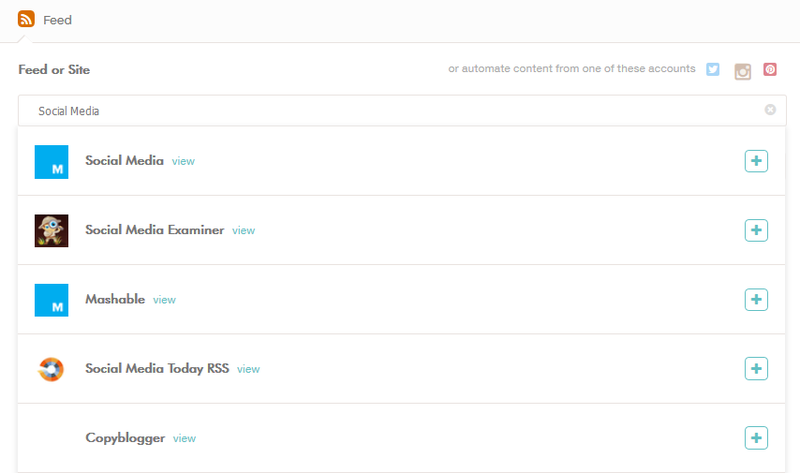 Next: Create an RSS feed. We’ll be using this as a content source for your newsletter. 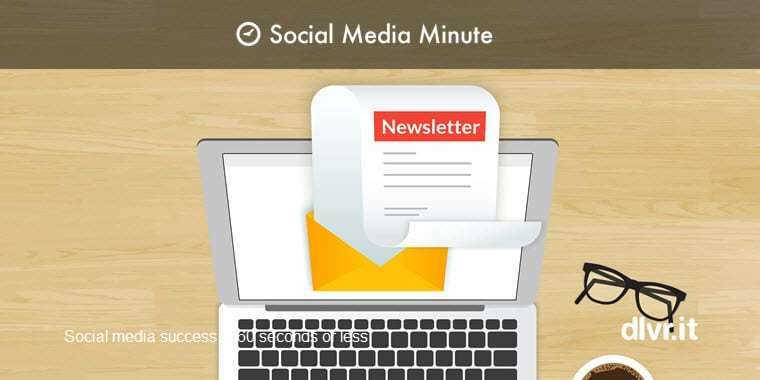 If you followed the first point above and are adding curated items to social media, you will now also be queuing items for your curated newsletter! Talk about a time saver! Start adding items to the feed along with your comments. (***You may already be adding items to social media if you followed the steps outlined here so no need to duplicate the work). dlvr.it automatically populates the newsletter link with a sample message (2) which then you can use as is or add additional commentary (1). In just a few minutes you’ll have a list of stories to add to your newsletter. *** New to dlvr.it? For a complete getting started guide, start here. Armed with the RSS feed you curated in Step 2, add it to your current email service provider (ESP) that accepts RSS feeds. See our complete step by step guide for Mailchimp users. Start promoting your curated newsletter. 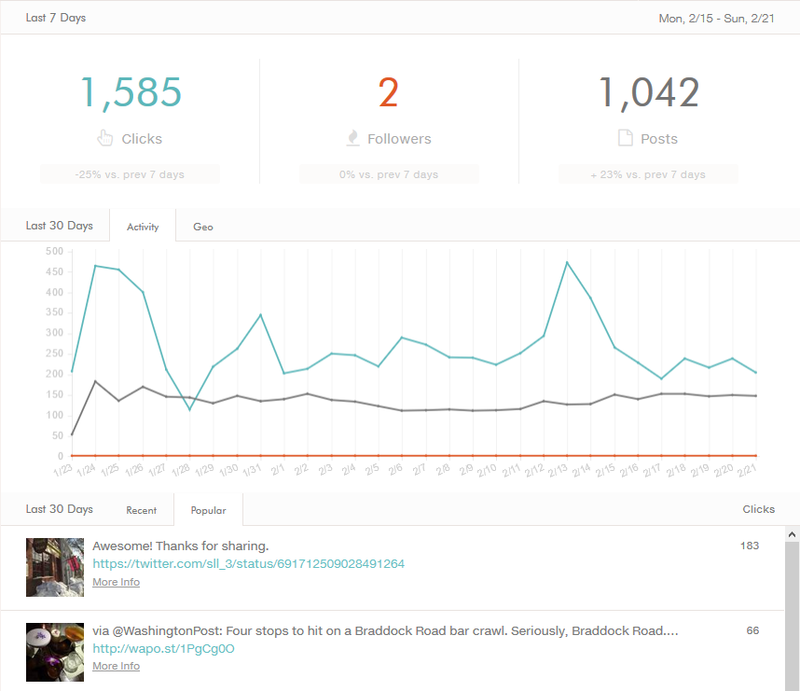 Stay on track with built-in analytics and reports. dlvr.it helps you understand how your audience is responding to the content you share therefore giving you the guidance needed to curate content that will keep your audience energized. The dlvr.it platform integrates with analytic tools such as Google Analytics so can automatically append each curated link with unique tracking codes to let the host publisher know who referred the traffic. 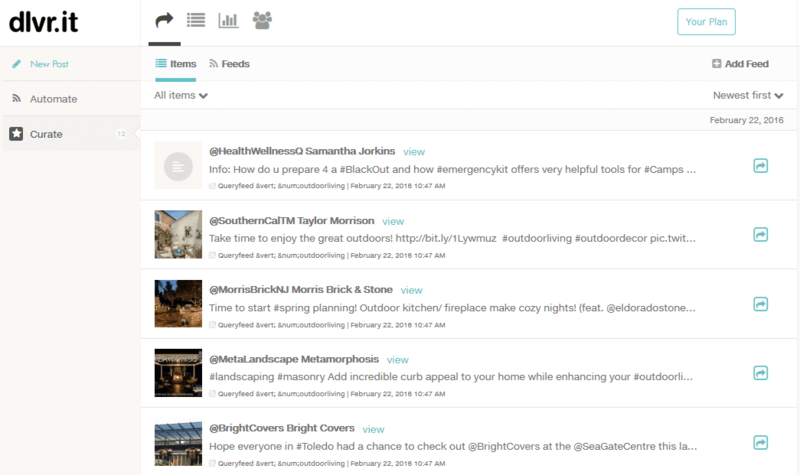 We showed you how to share curated content on social media [icon name=”rss” class=”” unprefixed_class=””] and create a curated newsletter. There’s a great appeal in having someone sift through the most interesting stuff and present a digest every day or week.